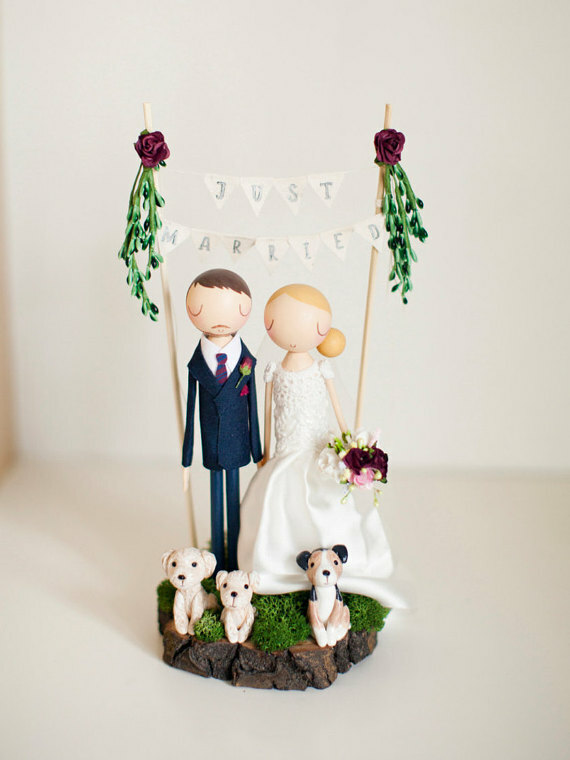 Couple cake toppers are on the docket today at Emmaline Bride! Before you get started, be sure to subscribe for future inspiration! 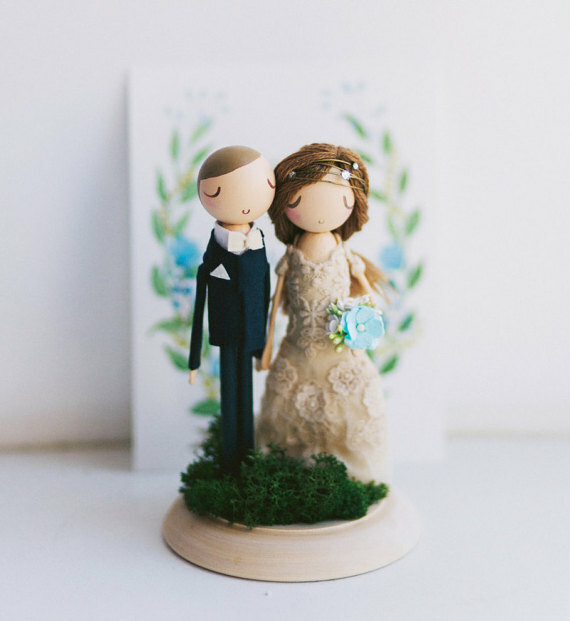 Gone are the days of boring cake toppers! 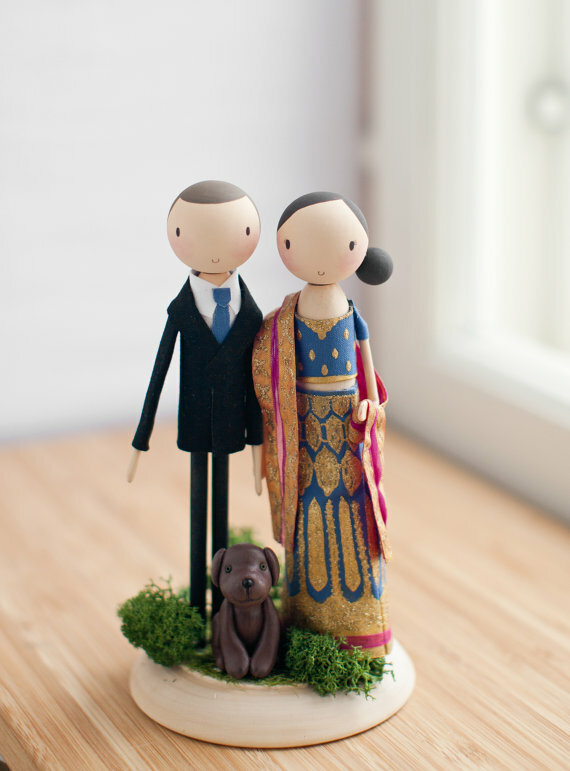 Now, custom cake toppers and figurines are all the rage with engaged couples. 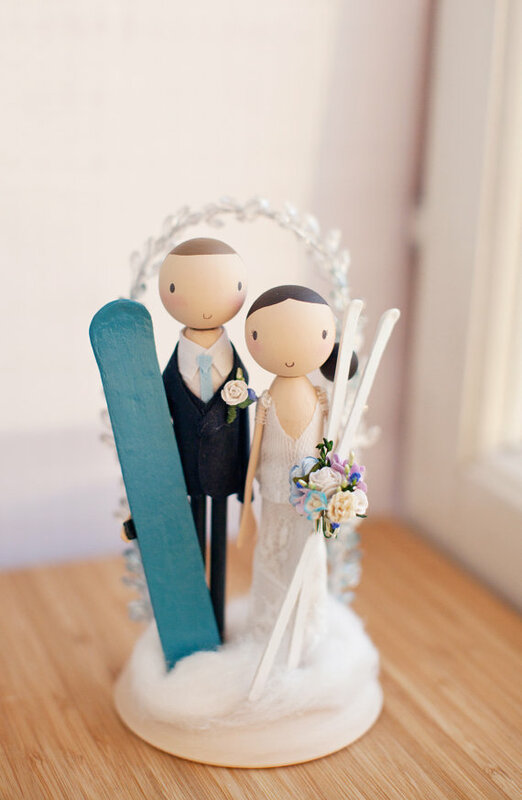 Instead of spending money on a cake topper that will be used once, these couple cake toppers are true pieces of art to be displayed in your home long after the wedding day is over. 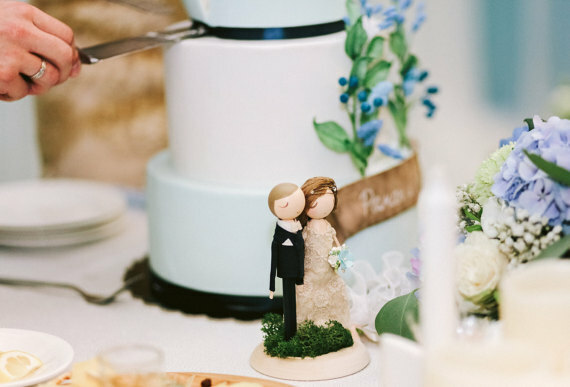 To show you why we love them so, we’ve rounded up our favorite cake toppers to share with you today. Which one do you like best? 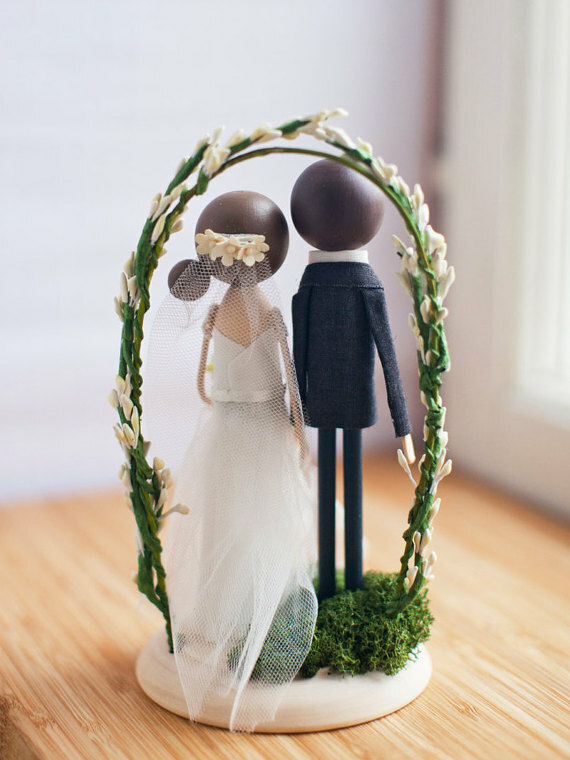 I just love the personalized details… everything from custom hair color and skin color to wedding dress style and veil! 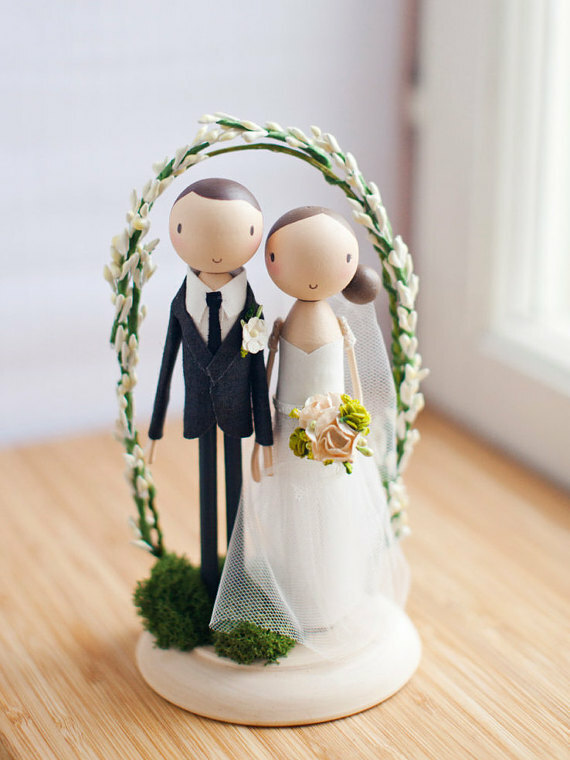 Add an arch, ‘just married’ banner, or thematic touches to make this cake topper your own. 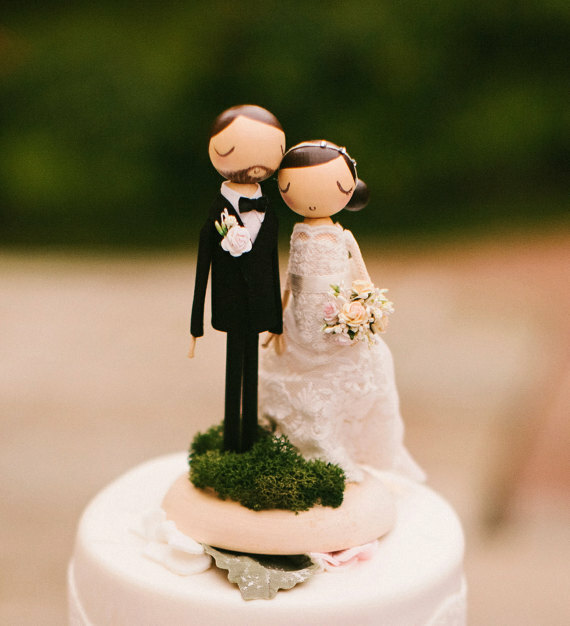 To see more couple cake toppers, check out The Roomba.